If you looked at the Ruffled Corset T-shirt at all, you know I changed the neckline but didn’t cover how to do it in that post. Well, here’s how I did it. This will only work on a shirt that fits you without a gaping neckline, as we’re going to make the neckline bigger in the process. So if the shirt is already too big for you in the neck, don’t try this. Find another refashion. You’ll also need another shirt or coordinating fabric to cut the new neck trim out of. I started with this scoopneck t-shirt (that was $1.74!) 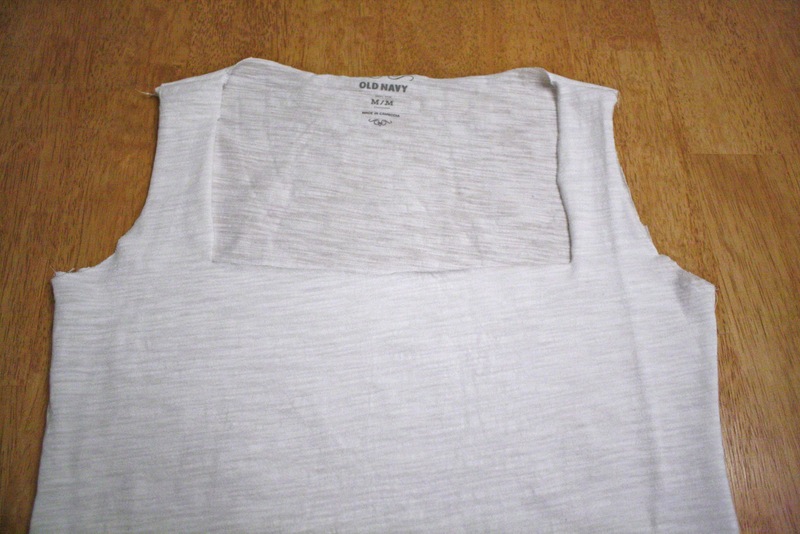 and cut off the sleeves and neck trim. 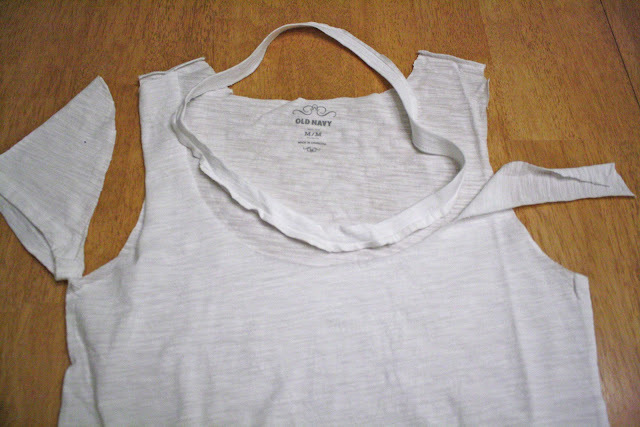 You don’t have to cut off the sleeves for this to work; I was also altering the shirt to fit tighter, so that’s why I did. 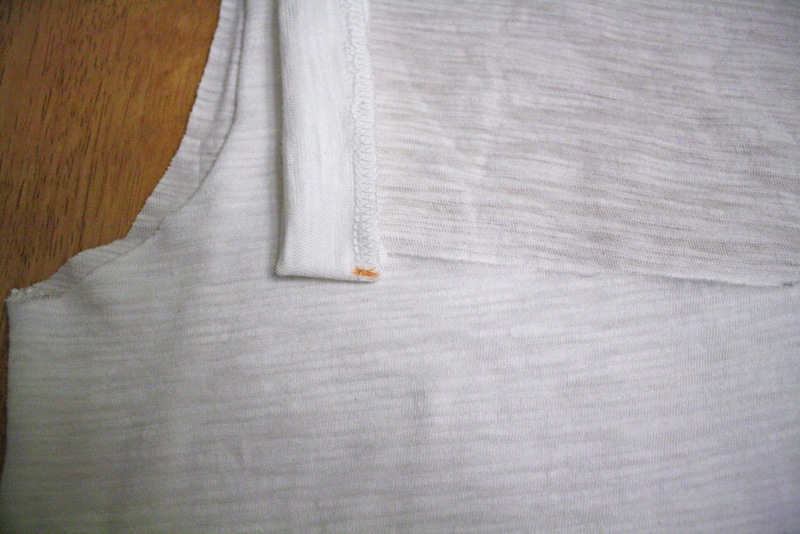 I cut the should seams and folded the shirt in half, with the side seams now one on top of the other. 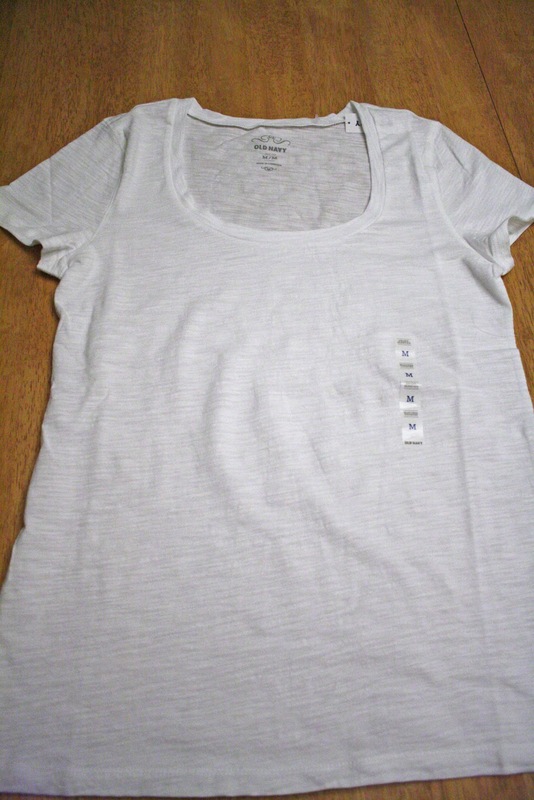 In the picture below you can see the center front of the shirt. 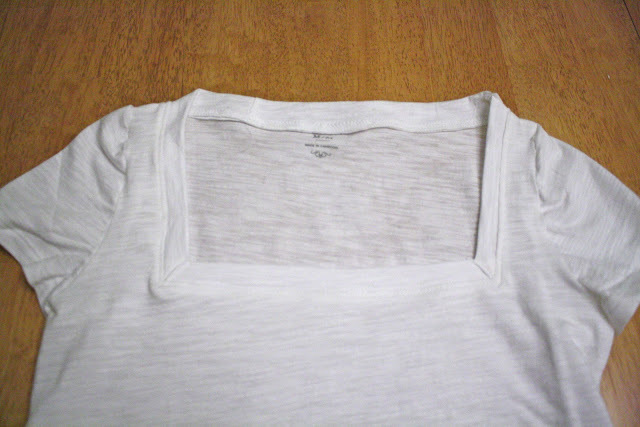 I used a ruler to square off the round corners of the scoop neck, traced lines and cut the front of the shirt. 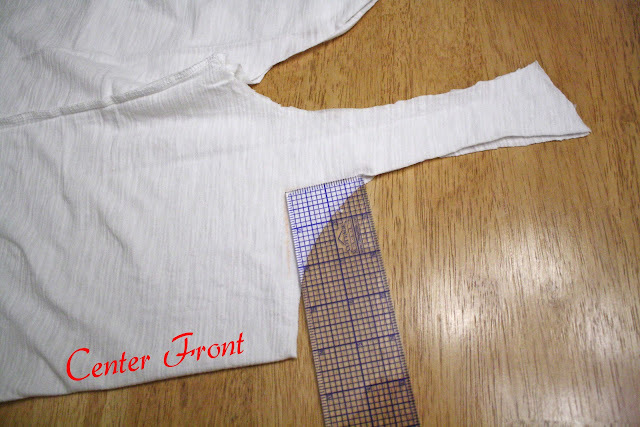 Then I laid the shirt flat again and measured around the neckline. I cut a piece of the other t-shirt two inches wide and as long as my neckline measurement to make the new neck binding. I folded my strip long sides together, and serged the raw edges closed. 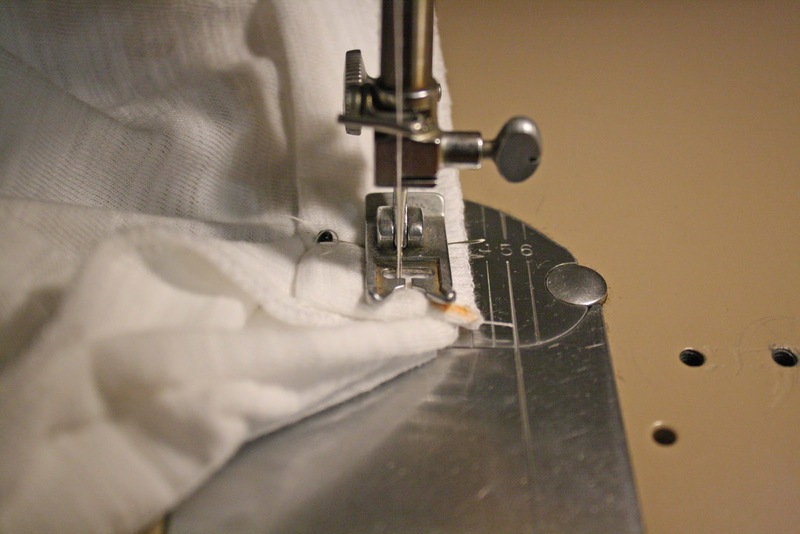 If you don’t have a serger, a zig-zag stitch works too. Then I laid the strip down the side of the neckline and marked where the corner of the neck hit. I rotated the strip so it ran along the bottom and marked where the other corner hit. I folded the strip at each of the two marks and drew a 45 degree line at each, from the serged edge to the folded edge, like in the picture below. 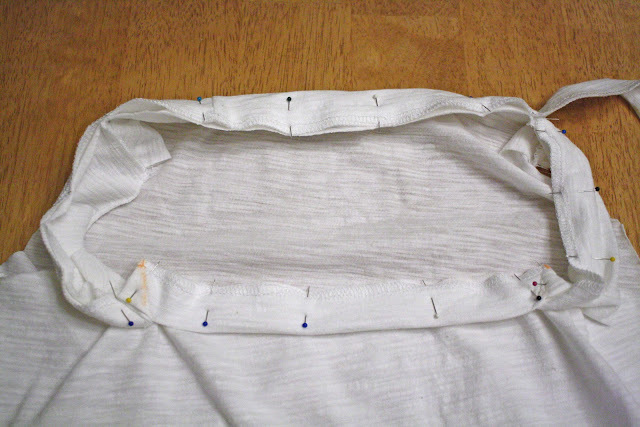 Make sure that you’re sewing each angle on the same side of the binding. Then I straight stitched right across the marked lines. 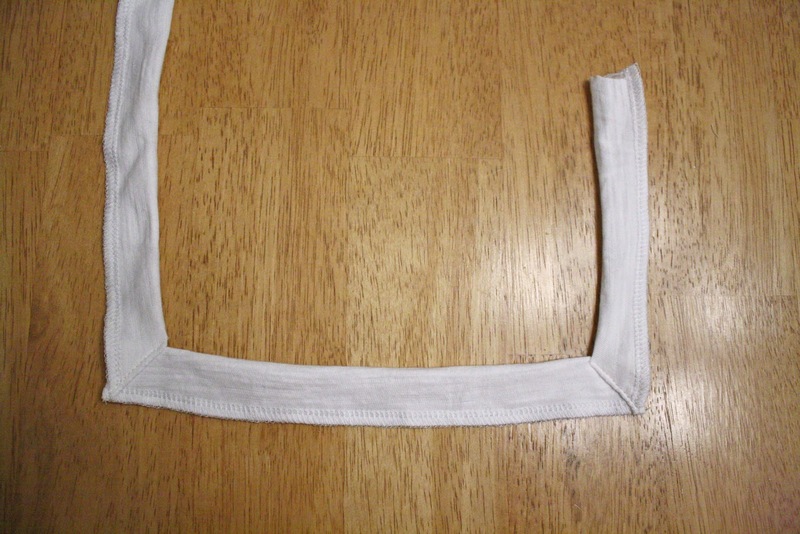 When you open the neckline out, it looks like this. A close up of one of the corners; I topstitched the angled flap down. Here’s where it gets a little tricky. 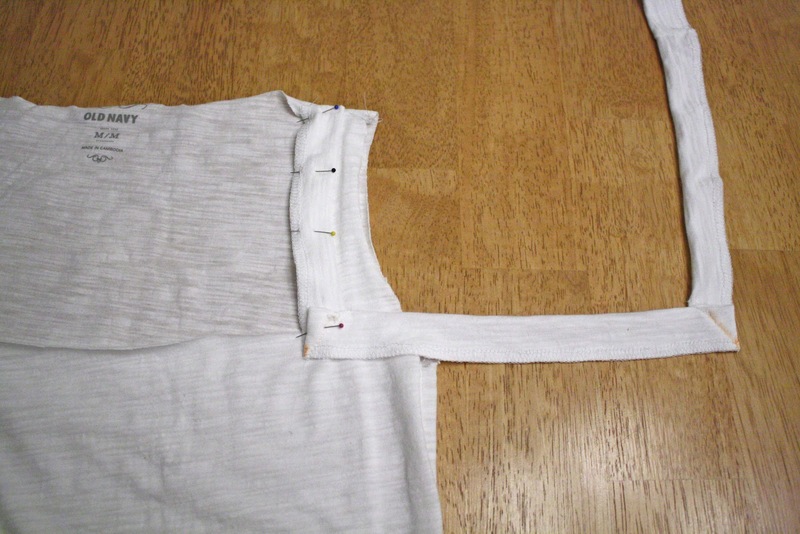 Rotate the binding so that the bottom serged edge is up and it lines up with the bottom edge of the neckline. Then rotate again at the corner so that the other side edge is lined up. 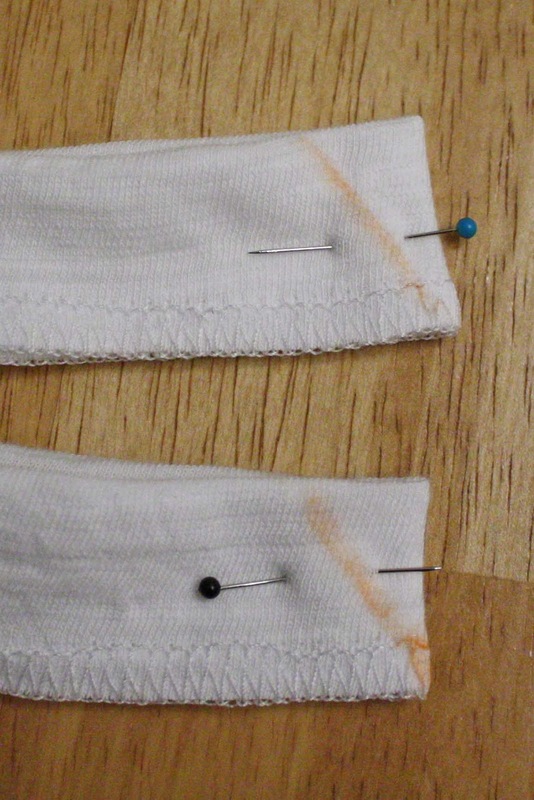 When you get back to where you started pinning, take a minute to sew the ends together so the binding is one loop. 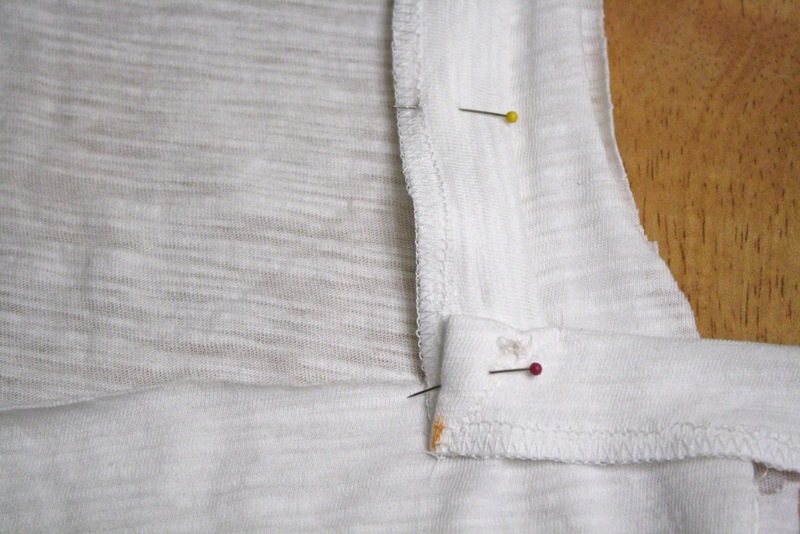 As you sew this in place, just inside the serging or zig-zag, stop at the corners with the needle in the shirt. 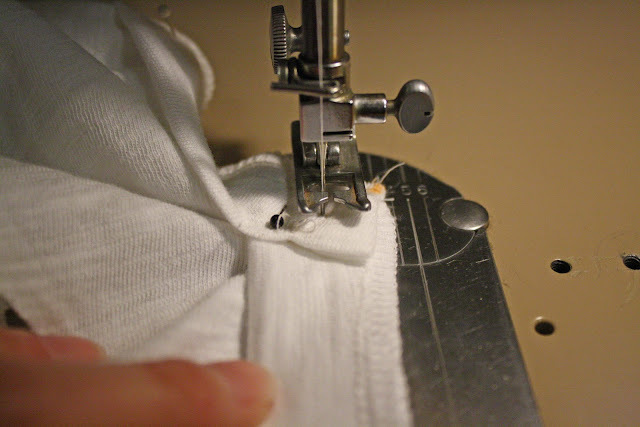 Lift the foot, and rotate the shirt to sew the next edge. Take some time to smooth out all the kinks before you sew, or you will see them at the corners when you turn the shirt right side out. Once you’re done, turn the neckline right side out and press. 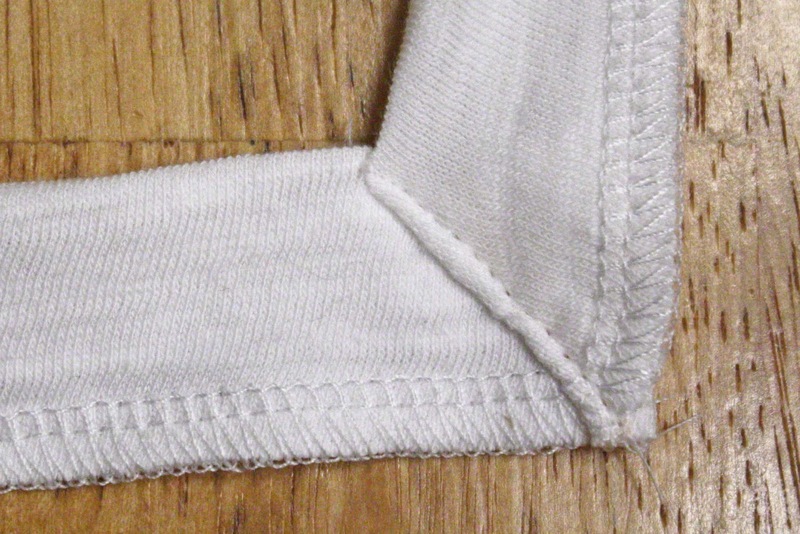 You might add a tiny zig-zag stitch right below the seam to keep the neckline from flipping out. Great tutorial! I would have never thought to do this, but I love square necklines. Another great idea! Thanks for the tutorial. I’d love for you to come link this up at my Tuesday Time Out Party! wow i would have never thought to add the hem back on! great job! Great transfered work of circle to square, once I just started work on, but not finished. At last I finished it with triangle shape. Your work is gorgeous. Thank you so much for your tutorials I’m learning a lot about knits from you. THIS! This is exactly the information I needed! Thank you thank you!